Have you ever seen a sweeter looking hound? I doubt it!! 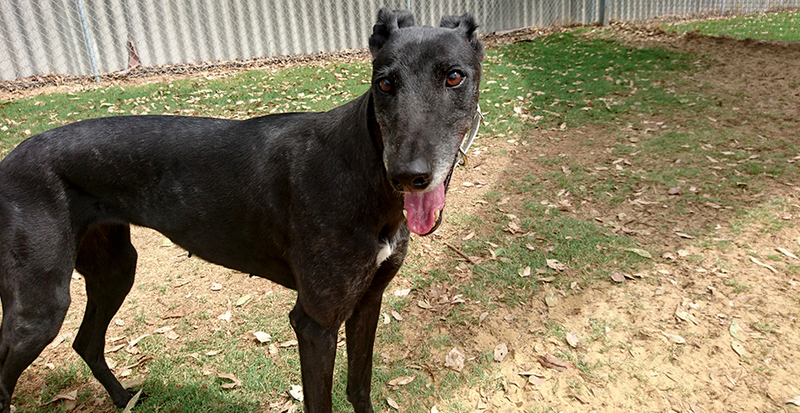 I’m a very cruisy natured lady who is happy being amongst people, other dogs or hanging on my own. I’m quite confident on my own so wouldn’t necessary need another dog at home however I wouldn’t say no to some human or doggy company (I mean who would!). I think I’d be a great addition to quieter family who are just looking for that companion to share their lives with. I’m not as active as I used to be (so no marathon running in my future) yet I do love a zoomie and am fond of my daily short walks. As with all greyhounds I am a work in progress, I will still need further training, socialisation and maybe some management strategies to truly thrive in your home. The GAP team can provide you with lots of hints and tips to help me on my way but please be prepared to be patient and spend some time working with me.